So, you're having a baby girl! Now, in addition to shopping for diapers and little pink dresses, it's time to put together the nursery. While this may seem like a daunting task at first, it can actually be a bonding experience for you and your partner and a chance to get creative. Pick your color scheme and build around it. If you need scheme suggestions for your little girl's room, we suggest pink and grey, blush and gold, or lavender and yellow. It's all in the details. 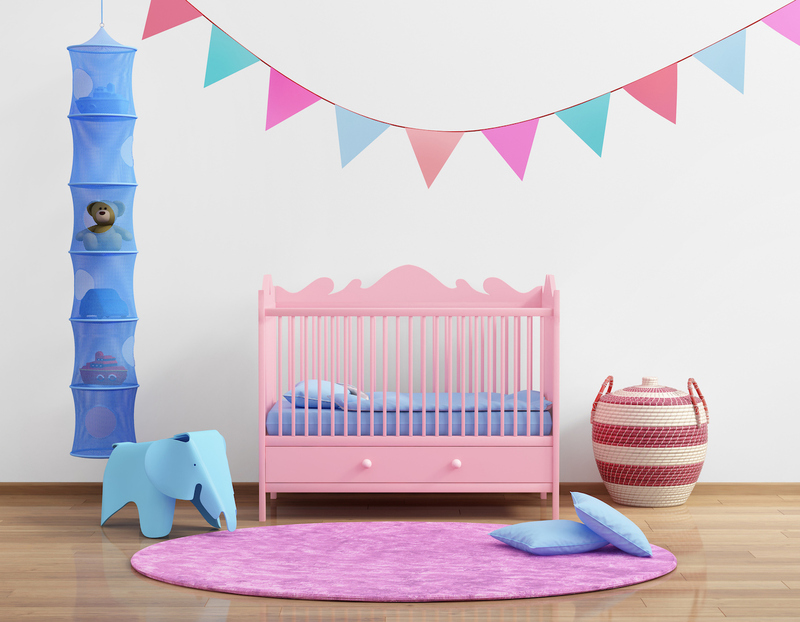 Here are a few of our favorite nursery additions we've found for baby girls. What overall theme are you going for? 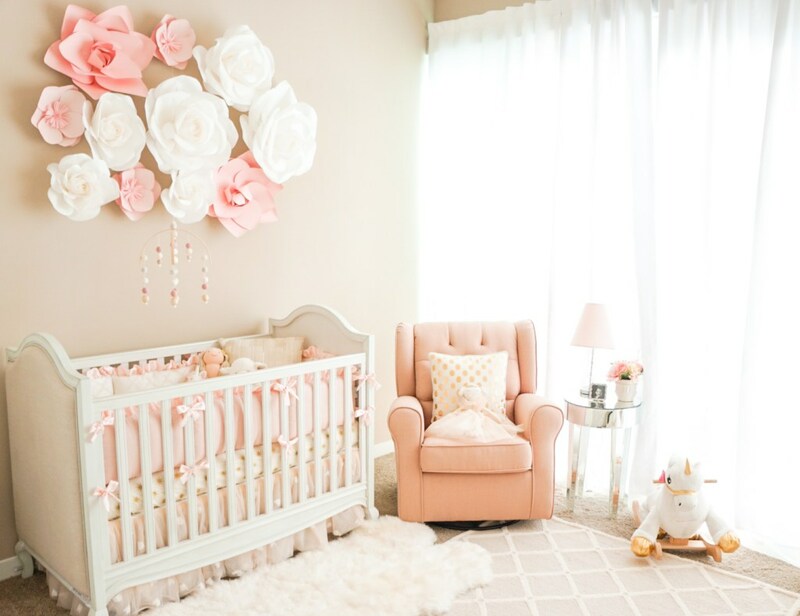 Our eyes are drawn to the collection of roses adorning the wall of this beautiful nursery from A Touch of Pink. You can't go wrong with decorating your girl's with an arrary of flowers. For a special touch for your little one, put up this stunning Floral Wall Letter in their initial or hang this Floral Mobile. We also like this Jolie Wallpaper. Let your little girl come into the world feeling like a star! Think bold colors like glitter, blush, and gold and furniture and fixtures that stand out. Flood the space with soft light. For the ultimate glamorous crib, a chandelier is a must. For a touch of old Hollywood glam, how about a Glitter Framed Photo of Audrey Hepburn? Create an eclectic and inspiring nursery with materials from the past. 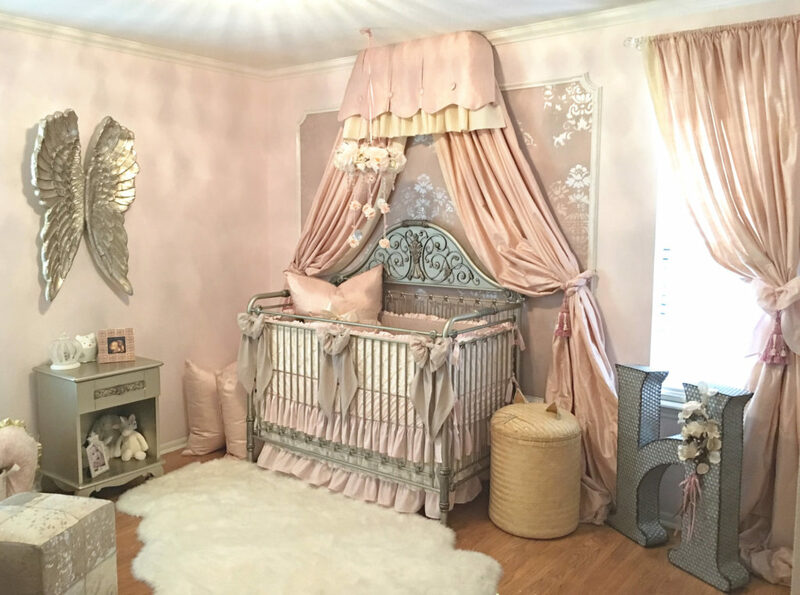 You'll enjoy shopping when you are looking for rare finds to fill your baby girl's space with love. To get started, check out this Vintage Floral Crib Bedding and Vintage White Rose Mobile. The purple and grey color scheme works perfectly in this beautiful little girl's room via Project Nursery. 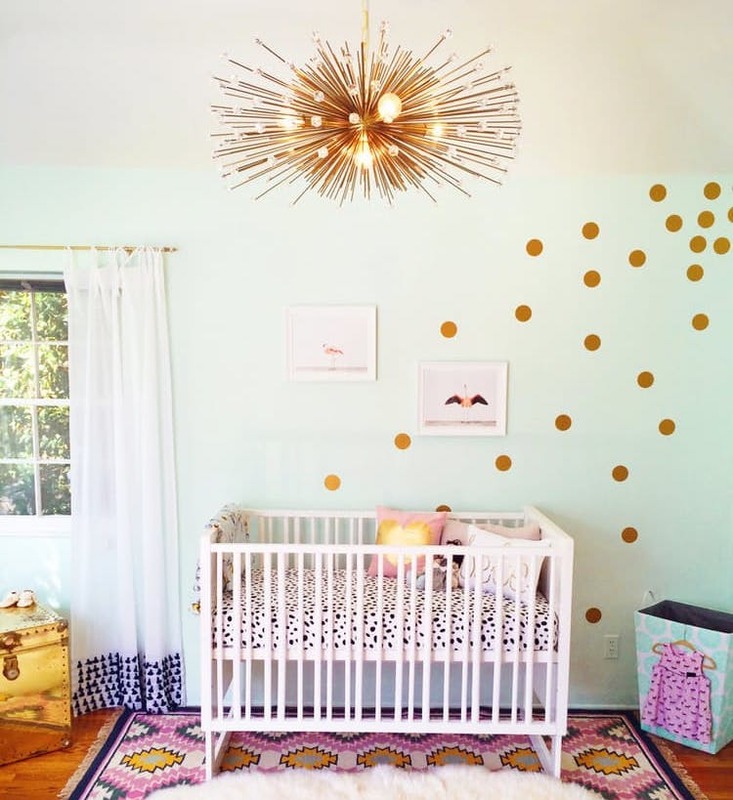 This nursery via The LIttle Umbrella looks modern and cozy at the same time. And check out those wall tassels!